Thank you so much to everyone who jumped online yesterday for our latest free webinar. It’s an absolute pleasure to be able to provide this information to you as I know it is a HOT topic! For those of you who couldn’t join us online, in this webinar I talked about ways to communicate effectively with other health professionals to build relationships & referral networks to benefit your community, especially all those amazing kids out there! When it comes to getting information out about chiropractic, building a strong network of local health professionals is of utmost importance. They are the people who are seeing kids for health related issues and if they know about chiropractic and how it complements the work they do, they will more than likely refer to you. How to conduct the meeting with them, follow my guide that works! Finally, how to ensure that this meeting is fruitful and leads to a strong relationship between you and the health practitioner that benefits kids & your practice alike. There are a lot of great take home messages in this webinar that will help you feel confident and ready to network with your local community. A few of you mentioned that you have some talks already lined up in the coming weeks and that this information helps you feel more prepared! Excellent and thank you for your feedback. For those of you about to watch the recording, if you enjoy the webinar I would love to hear from you – what did you find most useful? Do you have any other questions? I am really excited to bring you Mark their Steps ONLINE in October. Our normal full day seminar has been adapted to support the Mum’s and Dad’s at home who struggle to get to a Sunday seminar, the chiropractors who live outside of major cities & those of you who want to come but couldn’t get to our previous seminars. 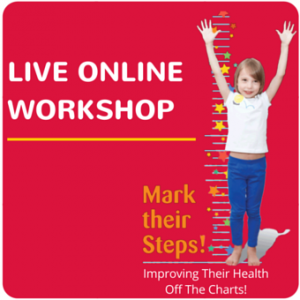 This online workshop covers all the amazing information that helps helps you to re-asses what you currently do in practice when it comes to kids care. Working with kids can be tricky and we often see families not move from symptomatic to long term wellness care. This seminar has been put together to help you communicate better, deliver exceptional Initials and ROF and turn chiropractic into an exceptional experience for families. Head over here for more information and to register! Well Kids Program supports Research in September/October! The Kids Summit was held in Sydney earlier this month. Organised to raise money for research in the paediatric field. It raised somewhere in the vicinity of 70K!! 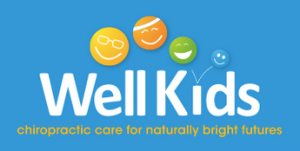 To further support chiropractic research we have extended our offer to donate $500 of any new Well Kids Program sold during September/October to Dr Heidi Haavik and her team in New Zealand. So for those of you who have been wanting to learn more about Well Kids and how it will benefit you as a practitioner to provide exceptional chiropractic care to children, now is the time to learn more. Book in a online demonstration of our program now! If you are passionate about chiropractic and want to provide professional consistent care that also tracks how kids improve through chiropractic care, take a moment now to book a demonstration with our team. For more information on the program click here: www.wellkidsprogram.com. Please let me know what you think after watching the webinar! I would love to connect with you. Send through your feedback, questions and queries to jacey@drjacey.com.au.